The festival features over 100 unique and local artists and artisans with crafts, original artwork, pottery, glass, jewelry, textiles, fine art, and gift items. Plus, local florists and nurseries will be offering an array of living art. The event also includes food vendors, concerts and more through the entire weekend. When: Friday-Sunday, March 15-17, 10 a.m.
Ride into spring at Trail Dust Town. The event features a petting zoo and horseback rides from TRAK, snacks and sandwiches from the Savoy Opera House, three wild west stunt shows, beer from Barrio Brewing and backyard games. The regular scheduled activities like the train, carousel, ferris wheel, haunted house, and Museum of the Horse Soldier are open during the event too. When: Friday, March 15, 5-8 p.m. Cost: $2.50-$12, depending on activity. Calling all Plant Mamas and Plant Papas. This event is dedicated to reconnecting to our food while viewing (and purchasing 😍) some wonderful plants. Enjoy cooking demonstrations, grab a bite from one of the many food vendors, and enjoy live music in the shady springtime setting of the Tucson Botanical Gardens. When: Sunday March 24, 10 a.m. to 2 p.m. This event is dedicated to reconnecting to our food while viewing (and purchasing 😍) some wonderful plants. 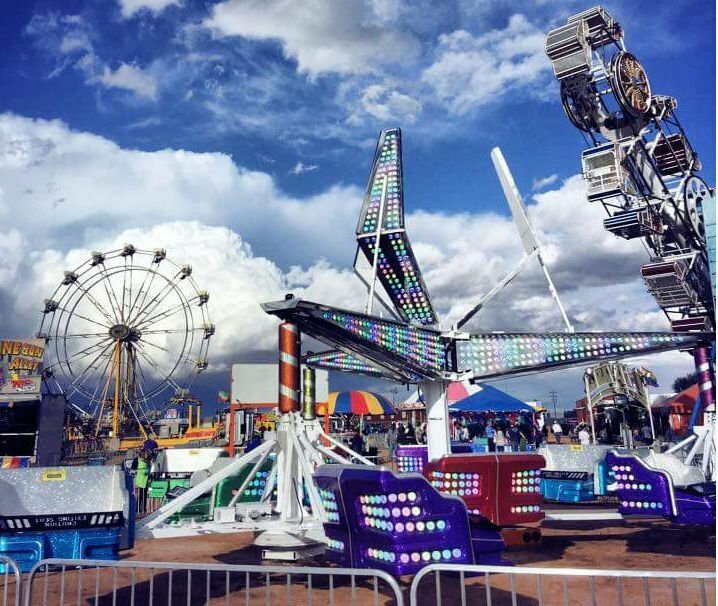 Kick-off your spring break with 12-15 hair-raising rides, three tasty food wagons and six gaming booths. Where: Tucson Premium Outlets, 6401 W. Marana Center Blvd. Thursday, March 14, 5-10 p.m.
Friday-Sunday, March 15-17, 4-11 p.m.
Wednesday-Thursday, March 20-21, 5-10 p.m.
Friday-Sunday, March 22-24, 4-11 p.m. Cost: A wristband allows the wearer unlimited rides for $30. Ten tickets for $12 or 20 tickets for $20 — rides cost 2-4 tickets. Special activities and performances all weekend like a historic firearm demo, trick shooting, whip cracking, trick roping, a petting zoo and more. When: Friday-Sunday, March 15-17, 10 a.m. to 5 p.m. Cost: Included with regular admission. $19.95 for adults, $10.95 for kids ages 4-11 and kids ages 3 and under are free. 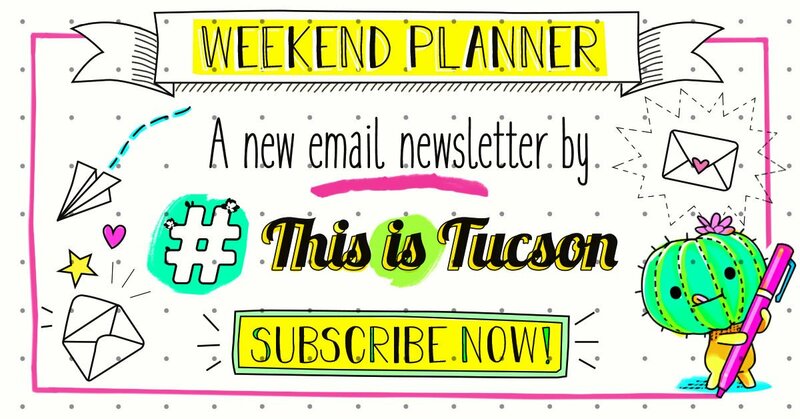 Visit Tucson's largest gathering of Native American crafts, food and performances. Listen to music and see native culture dances. Video is not permitted during the event, but photos are. Where: San Xavier Mission, 1950 W. San Xavier Rd. When: Saturday-Sunday, March 16-17, 10 a.m. Cost: $7 for adults, $5 for kids, ages 6 and under are free. Parking is $3 per vehicle. Buffalo Exchange is hosting a closet buster this weekend! Roll up your sleeves and dig into racks and shelves full of vintage finds, rustic apparel, jewelry, boots, heels and stick around for a boat load of raffles. If you purchase $100 or more you get a special addition shoppers bandanna. The big raffle prizes include $1,000 gift card, $45 gift cards and a swag bag. Jewelry, sunglasses and other goodies will be raffled throughout the weekend too. Where: Buffalo Exchange, 2001 E. Speedway Blvd. Cost: Free to attend, but bring your wallet for shopping. Cruise to the park for a good time and learn about the cancer support programs TCC has to offer. There will be a cooking demo, tours of the butterfly garden and the Historic Binghamton House, food, DJ, prizes, exercise demos and a huge inflatable slide. When: Saturday, March 16, 10 a.m. to 1 p.m. Put on your mean face and get ready to sweat at UFC Gym North Tucson. Come dressed to work out and the coaches will guide you through classes and equipment. When: Wednesday, March 20, 4:30-7:30 p.m. Cost: Free, bring a towel and water. This live music series supports local musicians with the opportunity to perform in the community’s largest shopping center. Sabra Faulk and Amber Norgaard are teaming up to deliver an inspiring evening of music. Remember to bring your own chairs. When: Thursday, March 14, 6-7:30 p.m.
TMC is throwing its annual free children's safety event. Bring your kids to get fitted for a free bike helmet and booster seat. TMC Security offers free child ID fingerprinting, demos, car seat safety checks and visit interactive booths providing fun health and safety education. When: Saturday, March 16, 9 a.m. to 2 p.m. Feeling frustrated with your garden? Learn some practical tricks that will help you grow a beautiful backyard garden throughout the spring and summer months. When: Saturday, March 16, 9-11 a.m. It's time for some shamrock shenanigans. The course will take you on trails (all asphalt and concrete), starting and ending at Silverbell Park. All participants get a event medal, shirt and an award ceremony. When: Saturday, March 16, 7:30 a.m. to 1:30 p.m. Celebrate St Patrick's Day by painting with friends and family. Paint your very own lucky keepsake or create a unique gift. You will have three different pottery options to choose from, like a themed mug or a shamrock plate. Order a plate and a mug and get a free shamrock ornament. Your ticket includes first beer of choice or bottled drink. When: Saturday, March 16, 1-4 p.m. Cost: $25 and up, get your tickets here. Opening Ceremony with Tucson St. Patrick's Day Committee President John Murphy and Guest Emcee David Fitzsimmons featuring Tucson & District Pipe Band. Following the opening ceremony enjoy a lineup of music, dancers, entertainment, children’s game area, and food and merchandise vendors. Parade will begin at 11:00 a.m. at Stone and 17th Street, traveling through downtown and ending at Armory Park. The parade will feature marchers, floats, military units, local dignitaries, media and entertainment personalities and civic, cultural and social groups. When: Sunday, March 17, 10 a.m. to 5:30 p.m. Wear your green bling and bring some gold coins for some Irish fun at the swap meet. There will be live music by Los Amigos, $2 beers, food vendors, shopping, face painting, kid rides and more. When: Sunday, March 17, 12-4 p.m. Cost: Free to attend, but bring some money for shopping and festivities. Follow the rainbow to a mixed level, slow-flow yoga practice under the trees. Hang out afterward and enjoy a pint or non-alcoholic beverages. When: Sunday, March 17, 11 a.m. to 12 p.m. Cost: $10, ticket includes a drink. Join the shenanigans at Hotel Congress after the St. Patrick’s Day parade for a family-friendly celebration featuring a kids’ corner, Irish food specials, drink specials and live music. When: Sunday, March 17, noon to 10 p.m.
Take your little leprechauns to a family-friendly event and kick back with some green brews plus a jumping castle, live music, food trucks, face painting, bagpipers, balloon twisting, Irish drinks and more. When: Sunday, March 17, 12-11:59 p.m. Cost: Free to attend, but bring some money for tasty drinks and food trucks. Paint with your pups and drink a few beers at Dillinger Brewing Company. Well-behaved and vaccinated dogs are welcome to create their own masterpiece. When: Saturday March 16, noon to 5 p.m. Cost: Get a $10 for regular print or $25 for a full canvas print. The UA Police Department and SALEF are teaming up to help support their four-legged police pups. The event includes a 1-mile walk, vendors, raffle, doggie swag, K9 demo and coffee provided by Circle K.
Where: Arizona Student Union, 1303 E. University Blvd. When: Saturday, March 16, 7-10 a.m. Cost: $20-$40, register here. Free parking at the Cherry Garage. Take a seat on Hippie Hill and watch Matilda discover her powers and get a little payback. Where: Friday, March 15, 6:30-8:15 p.m. When: Himmel Park, 1000 N. Tucson Blvd. Cost: Free, bring your own seating. Hey all you cartoon junkies, Casa Film Bar is featuring all your favorite quirky cartoon faves January through June. Mimosas will be available for purchase during the cartoon extravaganza. When: Saturday, March 16, 10 a.m.
Spring break is here! Kids get to enjoy a free movie and craft at Bookmans for the whole week. Plus, don't forget to get your movie marathon passports stamped for a chance to win an official Bookmans prize basket. Where: Bookmans, 6230 E. Speedway Blvd. When: Monday-Saturday, March 18-23, 6-8 p.m.
How is spring break already upon us? March is full of fun events for Tucson's animal lovers. Spend $10 at four, featured women-owned businesses for a chance to win fabulous prizes. With St. Patrick's Day right around the corner, here are 14 places celebrating the holiday.